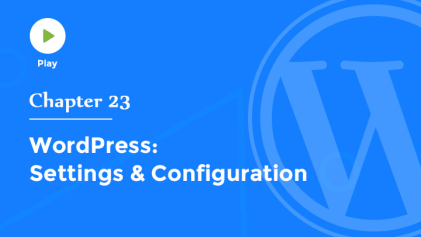 Welcome, once again, to the WordPress tutorial series. 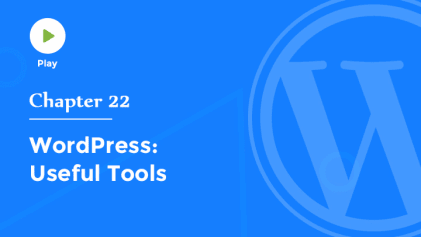 If you're building a website for your company, or other organization, then it's likely you'll have more than one user who will need access to the WordPress administration area. Or, you might want to invite other authors to contribute to your blog. In order to do so, each person must have his or her own user account. The users panel is where you'll set up new user accounts, edit user information, or delete users. You can bulk delete, or even change the roles of multiple users at once. It's important to understand the different permissions afforded to each of these roles. the administration functions in every area of the site. An editor can create and publish posts and pages, as well as edit other users' posts. An author can create and publish his or her own posts. A contributor can write and manage their own posts, but not publish them, they can only submit a post for review. And last, a subscriber can only manage their profile and read content. Stephanie is a new member of our team who will be writing some articles for us. So I've given her account contributor permissions. When Stephanie logs in, she'll see a much more limited set of functions, and while she can author and compose new articles or posts, she won't be able to publish them directly. Instead, new posts that she creates are submitted for review, and must be approved by an editor or administrator before being published. When I'm logged in under my own administrator account, I can see that Stephanie has written a new article titled, It's Not Rocket Science, and it's status shows that it is pending review. Also, at the top of the post panel, we can see the number of posts that are currently pending review. So let's preview Stephanie's article. She's done a great job with this article, including an image, and a few links to related content. I'll click the edit post link in the toolbar to open Stephanie's post in the editor. If needed, I can make additional edits here, and when I'm happy with the article, I'll click the publish button. And now, Stephanie's new article will appear on our site. To edit a user's information, click the edit link next to the user's name. In the edit user sub-panel, we have the ability to disable the WYSIWYG, or visual editor, for this user, which would limit them to using only the text editor. We can choose the color scheme they'll see in the admin area, enable keyboard shortcuts for moderating large numbers of comments, and hide or show the toolbar to this user when they're viewing the site. You can also edit the user's name, contact information, bio, and password. Of course, at any time you can edit your own profile by clicking your profile under the user's menu. Or, by hovering over your username in the top right hand corner of the toolbar.